An old monk is coming down the broken stairs of the old stupas. 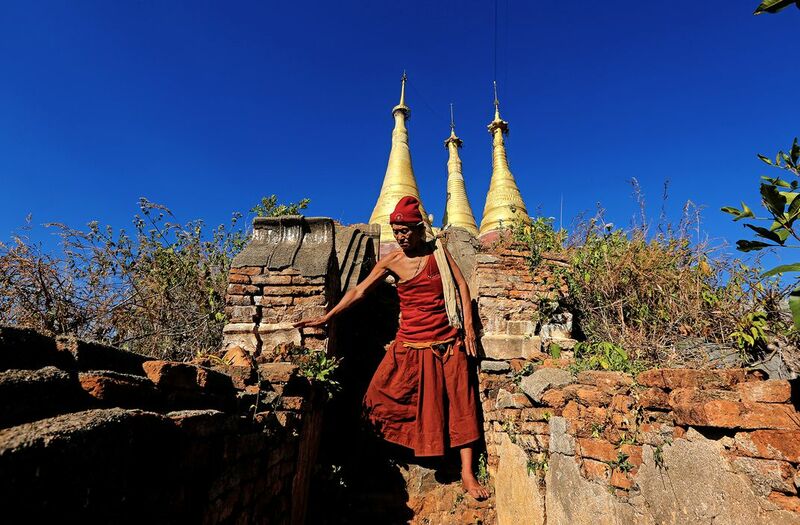 This is a part of one of the oldest pagodas of Indein village near Inle Lake. I was amazed to see how this octogenarian monk passes about his life alone in the pagoda atop the hill.